Joseph Anthony Flaherty was born on June 13, 1916 in Philadelphia, Pennsylvania to James A. Flaherty and Mary A. Bradley. He was baptized on June 13 in the Church of the Gesu, attended the Gesu Parochial School, Saint Joseph's Preparatory School, and in 1938 received an A.B. degree from Saint Joseph's College. In the fall of 1938 he was accepted into the Augustinian novitiate in New Hamburg, New York. He professed simple vows on October 31, 1939, and three years later made his solemn profession at Villanova College, Villanova, Pennsylvania, where he was studying philosophy. In 1940 he began his theological studies at Augustinian College, Washington. D.C. During the summer months he took graduate courses at the Catholic University of America. In 1946 he was granted a master's degree in English and in 1949 a Ph.D. from Harvard University, Cambridge, Massachusetts. On May 29, 1943, he was ordained to the priesthood at Trinity College Chapel in Washington, DC. In 1947, Father Flaherty was assigned to the newly opened Merrimack College in North Andover, Massachusetts, as an English teacher. He resided at Saint Augustine's Friary in Andover. In 1949, he moved onto the campus and became chairman of the English department and from 1951 to 1964 held the position of director of the part-time division of the College. In 1964 he was transferred to Villanova University and appointed vice president for Academic Affairs and the following year, 1965, he became the twenty-seventh president of the University. During his tenure as president the entire curriculum of the university was made available to women students, the construction of the first dormitory for women was begun. In 1967, Father Flaherty returned to Merrimack College as a professor of English and continued to teach until failing health compelled him to retire in the mid-1980s. After a ma)or operation his condition continued to worsen and he was transferred in 1993 from Our Mother of Good Counsel Monastery on the Merrimack campus, to Saint Thomas Monastery on the Villanova University campus. It was here that he died peacefully on August 8, 1993 at the age of 77. Father Flaherty received honorary degrees from Saint Joseph's College in 1965, LaSalle College in 1966, and Merrimack College in 1967. He was a member of the Association of Higher Education, the Modern Language Association, the National Council of Teachers of English, and by presidential appointment, a member of the Board of Visitors of the United States Air Force Academy. His life as a religious priest was best described by a tribute given him as he finished his tenure as president of Villanova, "to generations of students, to his colleagues in higher education, and to his Augustinian brothers. Father Joseph Flaherty is a man of great wit, wisdom, and culture. Although an able administrator, he is above all a teacher, a communicator of literary treasurers, an inspiration to young and old alike." A Mass of Christian Burial was celebrated at Saint Thomas or Villanova Church on the campus of Villanova University on August 11, 1993. 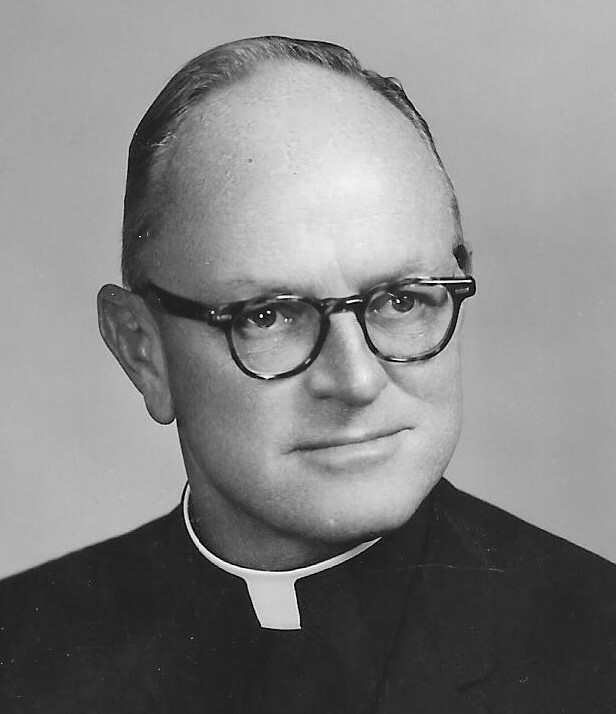 Father George P. Lawless, O.S.A. delivered the homily. Interment was the following day in the Augustiaian plot of Calvary Cemetery, West Conshohocken, PA. Some days later, a memorial Mass was celebrated at the Collegiate Church of Christ the Teacher on the campus of Merrimack College in North Andover, Massachusetts. Newer PostJ. Raymond Collins, O.S.A. Older PostJames G. Corrigan, O.S.A.